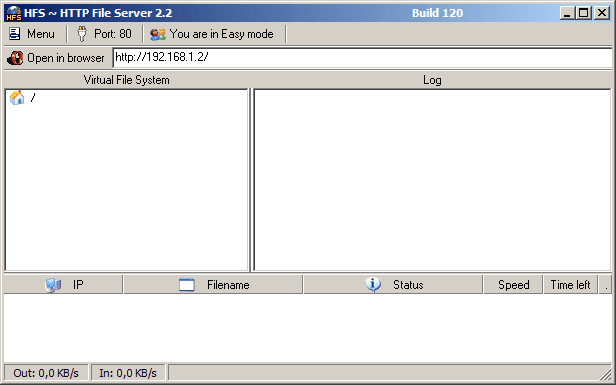 Free download HFS – HTTP File Server latest version. It is a file transfer software for uploading and downloading. It is an open source application software so you can use it free. You can use HFS (HTTP File Server) to send and receive files. It’s different from classic file sharing because it uses web technology to be more compatible with today’s Internet. It also differs from classic web servers because it’s very easy to use and runs “right out-of-the box”. Access your remote files, over the network. It has been successfully tested with Wine under Linux.